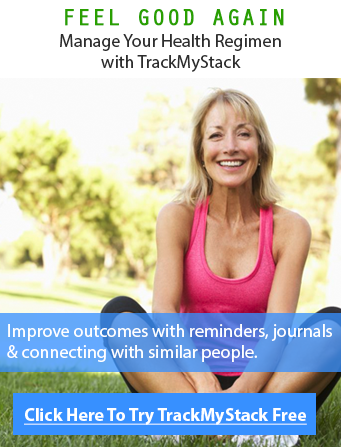 TrackMyStack is the perfect app to use as a Symptom Tracker. Many symptoms flare up from time to time and keeping track of all the symptoms associated with a medical condition or of an oncoming sickness can be very tough. It is tough to do because it may not be fun, it requires additional work, and you may just forget to keep track of it all. I am sure that is not what you wanted to hear, but the good thing is you are looking for a solution because you realize that managing your condition or reaching your health goal involves keeping track of your symptoms or the symptoms of your loved ones. hen you don’t track your symptoms you engage in something called “Recall Bias” which means that you tend to overexaggerate the level of pain/symptoms when trying to recall past events. You can clearly see how maintaining a log of your symptoms can remove this bias all together! If you would like to get started right away, click here. We kept all of this in mind when designing TrackMyStack. Stack by-the-way refers to a set of procedures, medications, supplements, protocol, whatever it may be, that is being used to reach your health goal quickly. Think of it as a regimen. 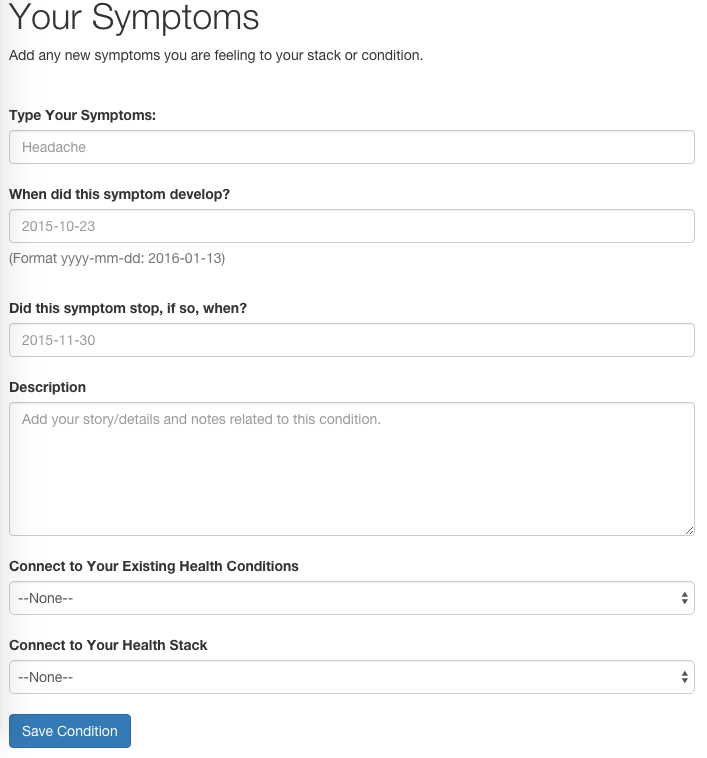 TrackMyStack behaves wonderfully as a medical symptom tracker app. In fact, it may just be the best app of it’s kind out there, and that is because we make it very easy for you to monitor your treatment for your conditions with the goal of improving your outcome quickly. It works for any conditions you may have or symptoms. 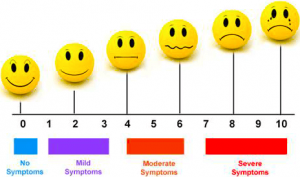 It can work as a lupus symptom tracker, PMDD symptom tracker, fibromyalgia symptom tracker, and the most common symptoms patients report such as Fatigue, Depressed mood, Anxious mood, Pain, Insomnia, Brain Fog, Headaches, Somnolence, Spasticity. Worry less and record your symptoms in your own words whenever the symptom occurs. Doctors love us as it provides them with details of your health when they are not around, we provide simple charts and easy to read reports that they will thank you for. 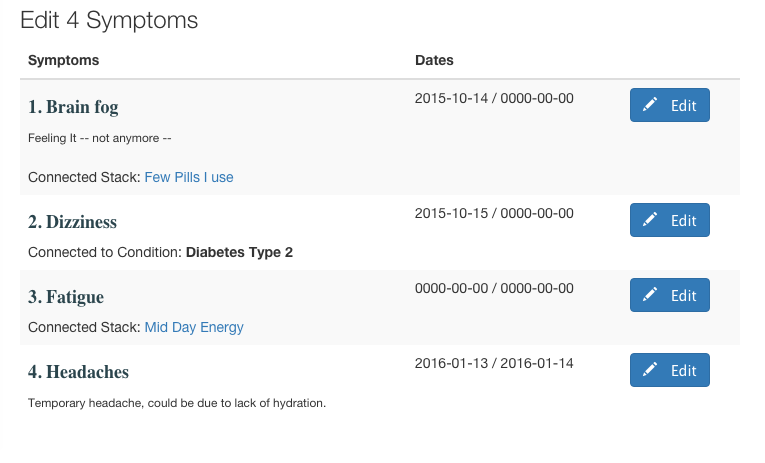 Keep track of unlimited symptoms and co-factors and make as many posts to your journal as you like for free. All you have to do is register to start! 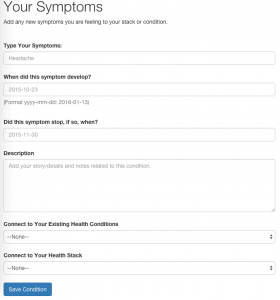 We quickly show you how you can track a symptom using our web app in 3 easy steps. Name it, and define your goal or reason for creating the stack. A stack contains your health regimen (drugs, supplements, etc). This is an optional step. Link it to your health condition, your stack or record it independently. The form looks like the one below at the time of writing. Which looks like the screen below, you can see symptoms associated with certain stacks or you can see symptoms related to certain conditions you may have or just symptoms you generally feel. Many patients can have extremely complicated health issues they would like to monitor. The list of symptoms may be “linked” to different conditions. Alternatively, if you just want to track your symptoms and are unsure of the cause, you will not have a need to enter and link any conditions. If you have a health goal, such as to decrease anxiety or manage depression and have created a stack, you may link the symptom to your stack as well. A stack can be useful in this case if you want to keep track of any medication or supplements you may be taking as part of a treatment. It can also be useful if the treatment itself may be causing these symptoms and you want to keep a log of it to discuss with your primary care provider. What’s next? 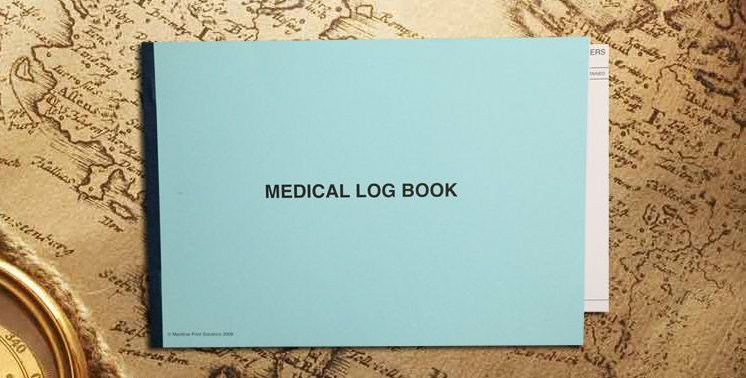 After tracking your symptoms and possibly other health-related information about yourself for a while, you can print the log itself and take it to your caregiver for analysis. Tracking flare-ups may be done hourly, every minute, or as frequently as you like and the free version of our app has no restrictions on this either. Care providers will appreciate the time you put in to make their job easier and for being empowered to take control of your own health! Sometimes you may not be sitting right at your computer to record your symptoms, and for times like this, we have an Android App as well. The changes made in the mobile app will reflect instantly on the web version of the app as well. In fact, you can use just about any platform that has a web browser to access our site and manage your symptoms. It is time to finally forget the tedious job of carrying around a physical journal or using a Microsoft Excel spreadsheet to update your symptoms. You can now easily track your symptoms easily using our app or the website and print out your report for better analysis if need be. We are in the process of releasing the iOS application soon. How to Get Started Instantly! 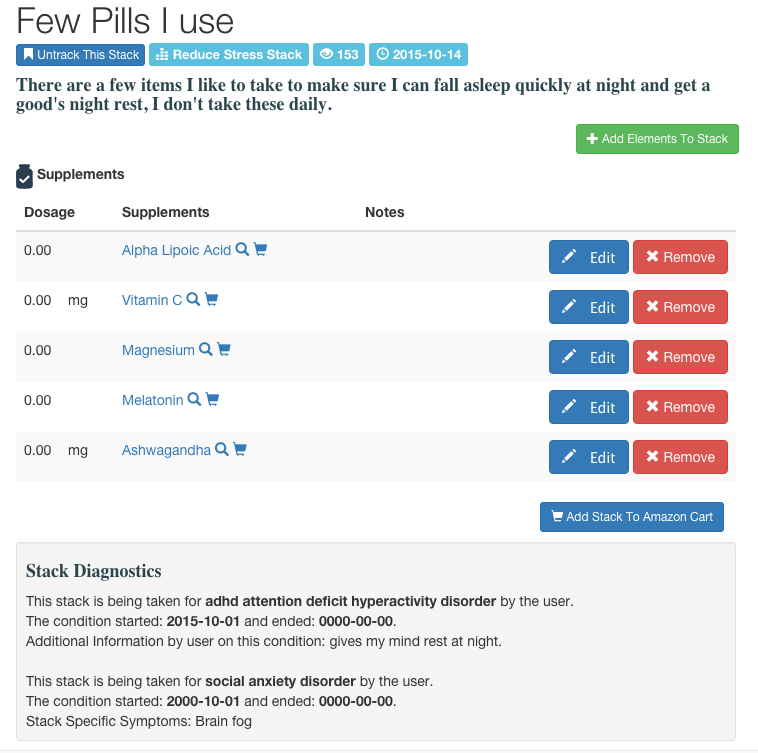 We reviewed many comments and suggestions by thousands of users of our apps, and we will be adding more personalized features for those that are looking to track bipolar disorder, PMS, Menopause, MS, IBS, concussions, their pregnancy, endometriosis, GI tract issues, Lyme disease, OCD, among other conditions and symptoms. We had suggestions to make a symptom tracker for dogs, and as much as we love dogs, we won’t be making one specific to dogs or other fluffy pets just yet. Get started using TrackMyStack click here. Keep in mind, the more data you record, the easier it gets to diagnose the cause of your symptoms. Frequently recording your symptoms as they occur is key. 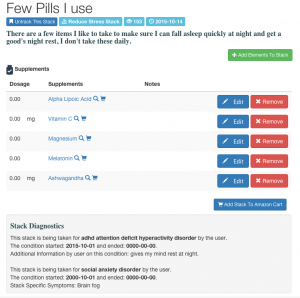 Use TrackMyStack app as a symptom diary and record your treatment as often as needed as well. This data can then be printed or exported for your doctor to review as needed. 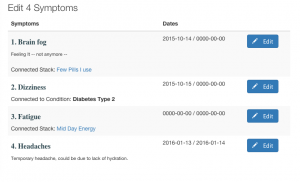 We have made Symptom tracking easy and tracking them can lead to a better more enjoyable life.